Kewadin, MI Window Tinting – All Season Window Tinting installed hundreds of square feet of Vista Window Film ceramic V31 Harmony Terre for this client with an intense western exposure. 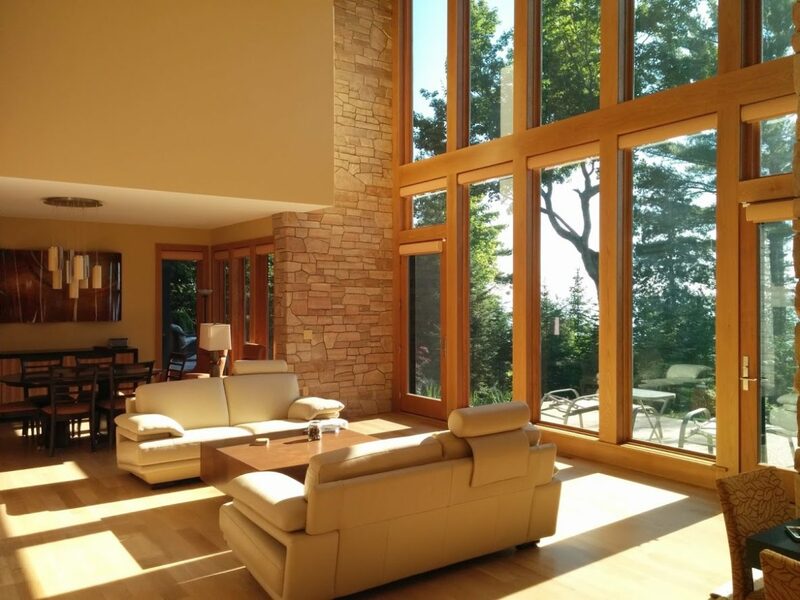 The client wanted a significant level of sun protection without adding reflective properties to the windows from either the interior or exterior. These objectives make Vista ceramic window films a perfect fit. Not only is the light intensity and heat transmission significantly less, but the interior is protected by 99.9% UV filtration and the look and feel of the house is tremendously improved. 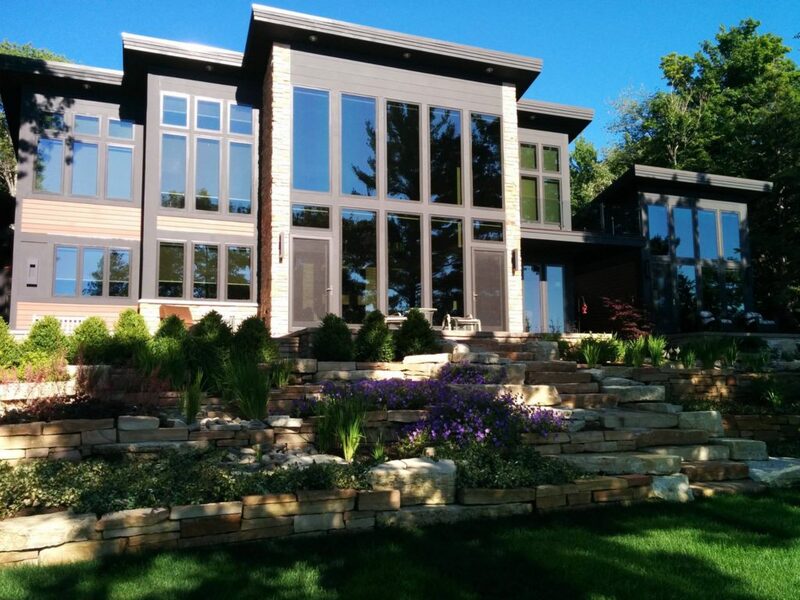 Exterior view of Vista V31 Harmony Terre ceramic window film in Kewadin, Michigan.